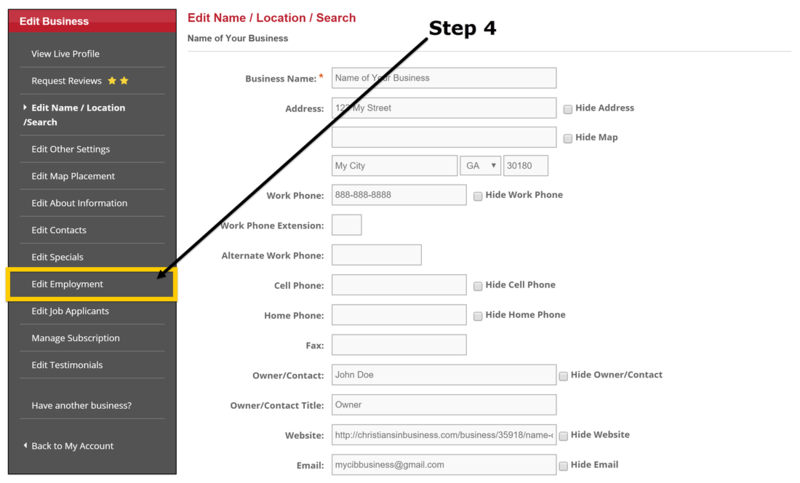 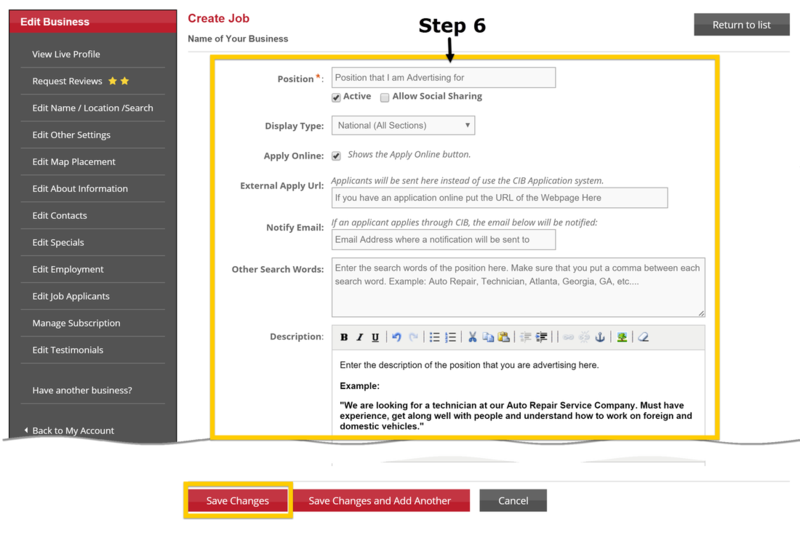 Step 4 - Click on "Edit Employment"
Step 5 - Click on "Add New Job"
Step 7 - To View Your Job Listing Click on "View Job"
Step 8 - Your Applicant Will Apply by Clicking "Apply Online"
Once your Job Applicant enters their details and uploads their resume, if you entered your email address for notification then you will get their application by email as well as being able to log in and see your applicants. 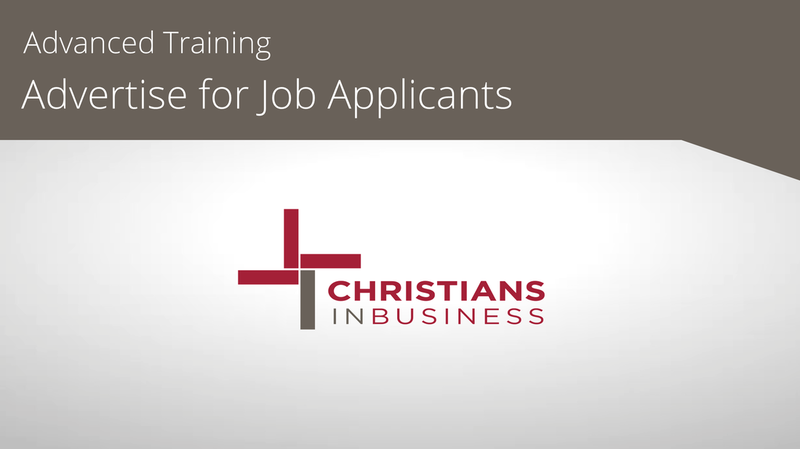 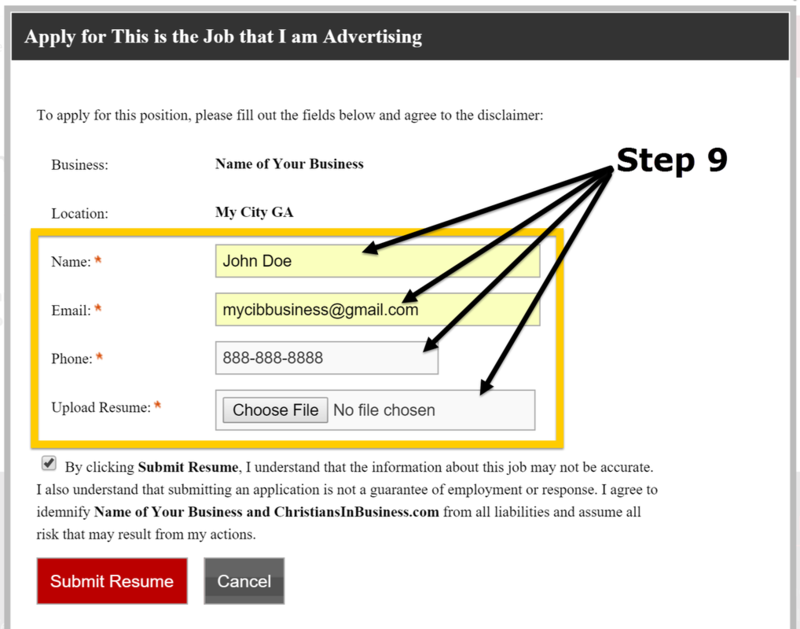 Step 10 - To Find Your Job Applicants Click on "Edit Job Applicants"
Congratulations! 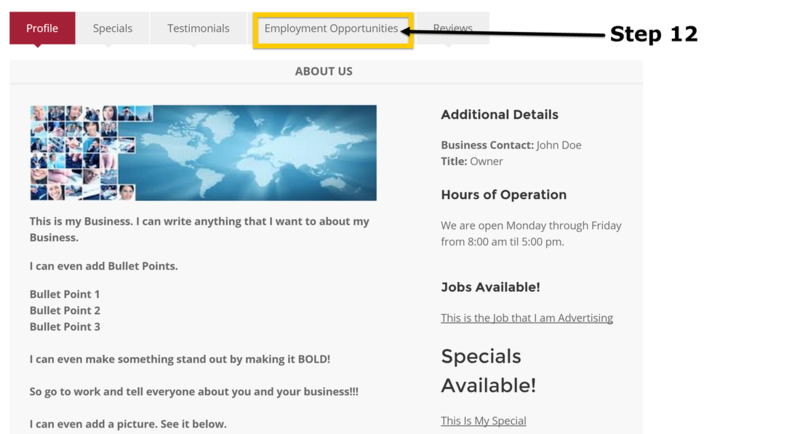 Now you can Add Another Job Listing.